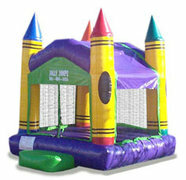 Description: This Crayon Castle is perfect for those little ones that love to create crafts and draw pictures. And what kid hasn't used Crayola Crayons? This unit will bring back memories and create new ones when the kids see it and start jumping in it! With bright purple flooring and giant Crayola Crayon pillars the kids will be challenging you to jump in with them!! 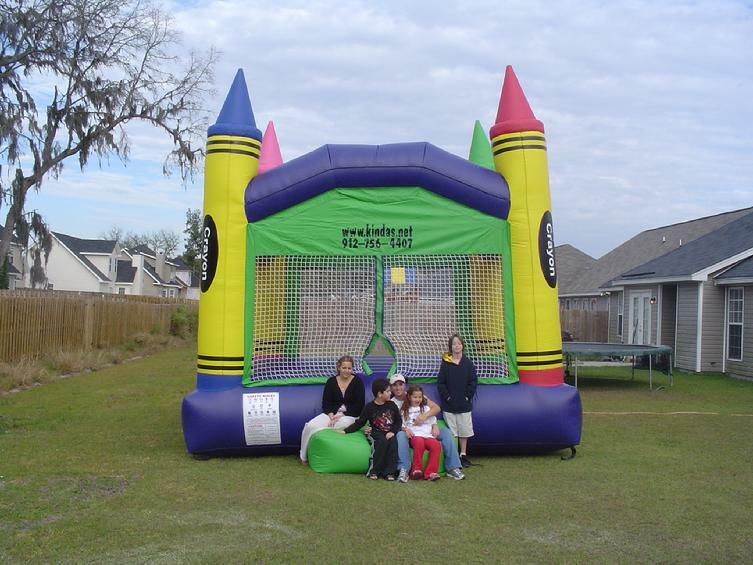 This bouncer has a protective roof to cover the kids from all day sun exposure.